The Preparatory Year of full-time schooling (Prep) was introduced into all Queensland schools in 2007. Prep is the first compulsory year of school and provides the foundation for your child’s education. 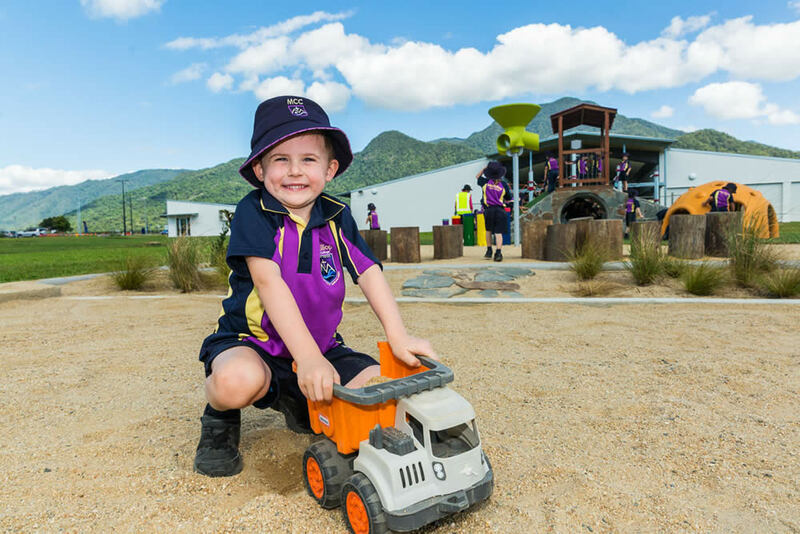 All Queensland children are eligible to attend full-time Prep from the beginning of the school year in which they will reach the age of 5 years by 30 June. Children whose birthday is in July through to December commence Prep at the beginning of the school year after their 5th birthday. Prep is the first year of school and provides the foundation for your child’s education. It is a full-time program held in primary schools. Children attend Monday-Friday for the full school day. When children start Prep they move to a more structured learning environment, but they continue to learn through play. During play children make decisions, solve problems, develop thinking and teamwork skills, communicate, and develop a positive sense of themselves. Families starting their child’s schooling in the Catholic tradition know that Catholic schools are committed to the growth of the whole child by offering developmentally appropriate programs which address children’s needs – spiritual, intellectual, physical, cultural, social and emotional. Faith, spiritual and values development is integrated into the Prep curriculum in keeping with the ethos and values of Catholic education. The Prep program promotes the development of independence and acknowledges that children arrive at school as competent and capable learners who have been learning since birth. The year builds on your child’s learning at home and in other places like kindergarten and child care. MacKillop Catholic College provides quality, specialised learning areas and equipment to accommodate Prep classes. Flexible learning environments are designed to complement Prep’s play based program and encourages an active investigative approach. Catholic schools aim to provide special care and attention to all students, staff and families in the school community. Each child’s unique beauty and gifts are fostered. Child protection matters are taken seriously, and practices and protocols are in place to ensure Catholic schools are safe places that not only comply with regulations but move beyond mere compliance to prevention. Prep classrooms in Catholic schools nurture right relationships. Through social emotional learning, children are supported in the development of life skills of confidence, getting along, persistence, organisation and emotional resilience. Our schools see education as a partnership between schools and families. Parents are welcomed as members of the school community and opportunities are provided to share in the school experience. Close communication between school and home is a priority. Prep teachers value partnerships with families, carers, communities and professional colleagues in order to develop supportive learning environments for students. In Prep children learn in many different ways including play, organised games, and investigation. They develop important life skills by working with other children and adults. Prep makes connections between school and what your child learns at home and in early childhood education and care.